I�€™m a 13hc and love playing these. With RBG�€™s free personalization deal you can�€™t lose. I have them done up for my business. You get a great ball and if you shank one and your buddies tease you, �€œI�€™m simply advertising�€ is the go to answer. Great feel. Ball stops on a dime! I have played the TP5x since it was introduced a couple of years ago. Always thought it was the best bowl on the market. I needed some balls, and bought the new one. It is firmer, but just as good. It doesn�€™t spin as much in either direction, which makes it longer and straighter. Just be aware that if you�€™re used to playing a shot shape, don�€™t expect as much curve. 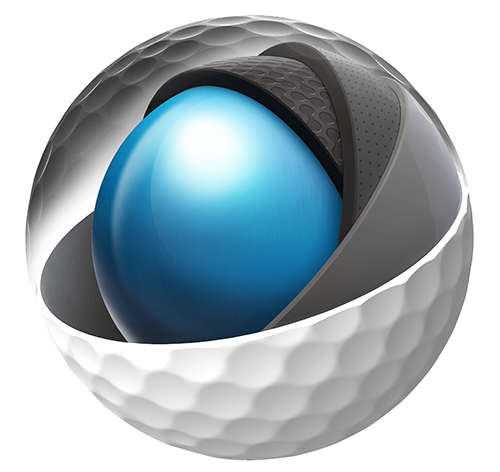 Great golf ball with good control and lots of distance.